So pretty, so feminine rusty elegance! A beautiful pink and gold crown with lots of sparkle! 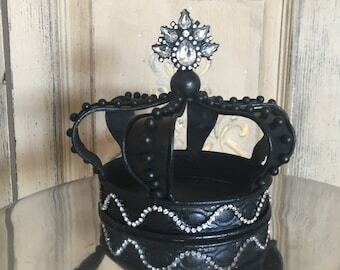 This one of a kind metal crown has been finished with a real rust finish and pink paint drizzled all over. 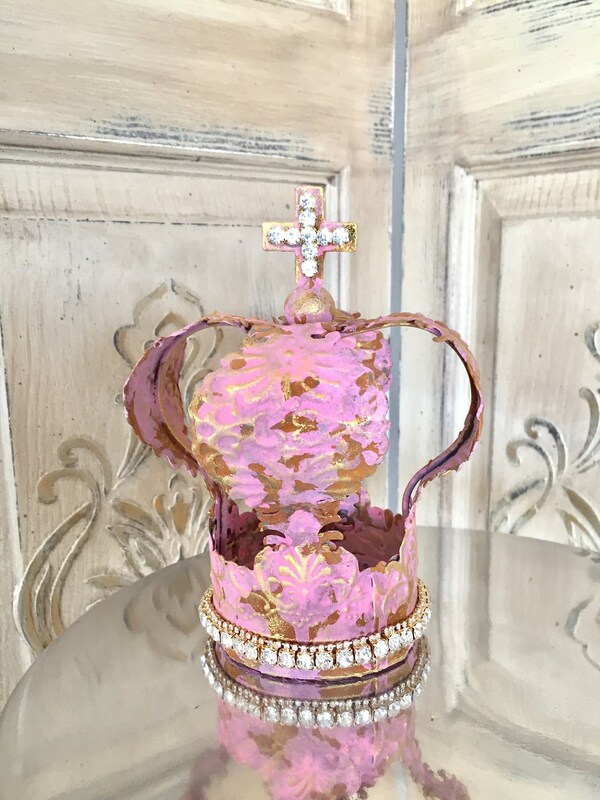 It is also embellished with jewelry, including the gorgeous embellished cross centerpiece and additional rhinestones over a gorgeous rustic hand painted pink finish with gold highlights. This lovely is versatile too, place over your favorite candle, set of books, cake topper or just the right spot that needs a little bling! Of course it can be worn too. 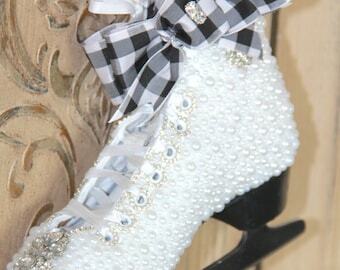 Many of our crowns have been used for photo shoots, costumes, birthday's and weddings! 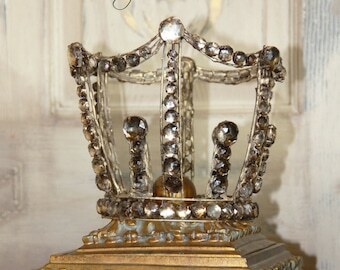 Many of our crown designs have been used for weddings, photo props, fashion shows, and special occasions. Doesn't everyone deserve to be queen for a day? My studio specializes in applying decorative painting techniques on new and vintage items. 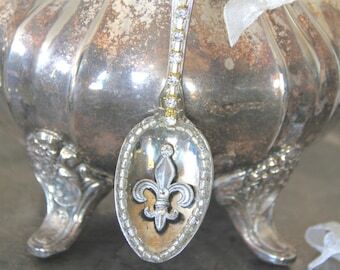 I use the latest finishes and products including gold and silver leaf, distressing techniques, faux finishing and just the right amount of bling! Most items in my shop are truly one of a kind.